Professional soccer player who joined AC Milan in 2017 and played for Sevilla FC on loan starting in 2018. 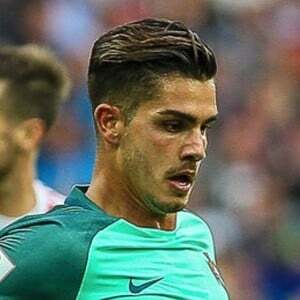 He began his senior career in 2013 playing for the FC Porto B-team; he was brought up FC Porto's first team in 2015. His junior career began in 2003 when he joined Salgueiros. FC Porto's August 12th 2013 game against S.C. Beira-Mar was Silva's first professional game. He was selected for the 2017 FIFA Confederations Cup. He is from Portugal. He was named after his father, Álvaro Silva. He has played alongside goalkeeper Iker Casillas on FC Porto.